Machine hours per unit equals total machine hours divided by the number of units produced. Knowing machine hours per unit allows a company to allocate overhead expense to the products they sell, which makes it easier to understand the cost of creating each unit of inventory. 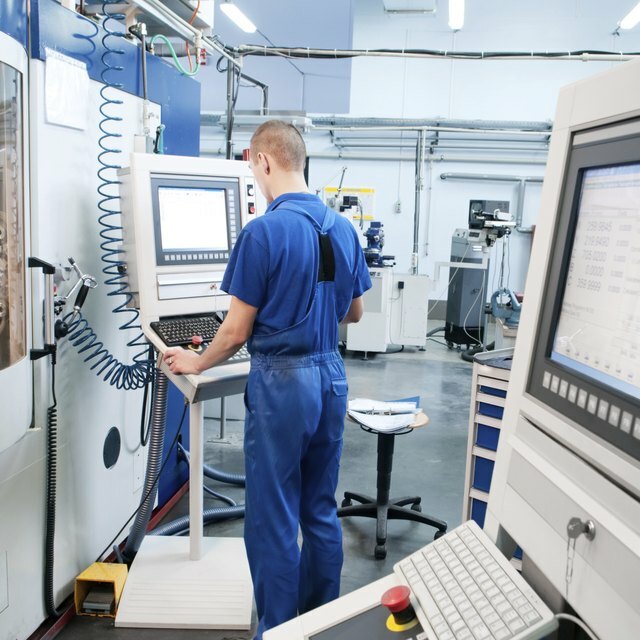 Machine hours are often the cost driver used to assign costs to company inventory. AccountingCoach explains that before the 20th century companies typically used direct labor hours as the cost driver. As machines became more prevalent in manufacturing and use of human labor declined, machine hours became a more popular metric. To calculate machine hours per unit, a factory must keep track of how many hours machines are run and how many units of inventory are produced. To find machine hours per unit, divide the total number of hours that machinery is operated by the number of units produced. Total machine hours can be calculated on a daily, weekly, monthly or even annual basis. For example, say a factory ran seven machines for 10 hours in one day and produced 50 widgets. Total machine hours are seven multiplied by 10 hours, or 70 hours. Machine hours per unit is calculated as 70 hours divided by 50 units, or 1.4 hours per unit. Machine hours per unit can be calculated for each type of product that a company manufactures. Management will determine the absorption rate that should be used to allocate overhead costs to products. To apply overhead expense to one unit of inventory, multiply the absorption rate by the machine hours per unit. For example, say that management assigns $60 of overhead costs to every one machine hour that a product incurs. If it takes 1.4 machine hours to create a product, management will assign $60 multiplied by 1.4 -- or $84 -- of overhead costs to that product.